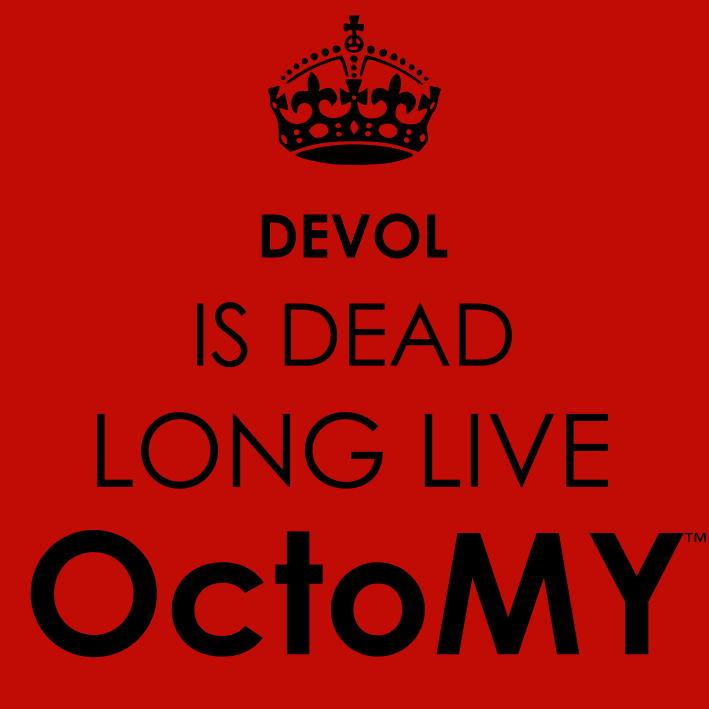 The OctoMY™ Blog: The blog formerly known as "Devol Robot Project" is dead. Long live "The OctoMY™ Blog"! 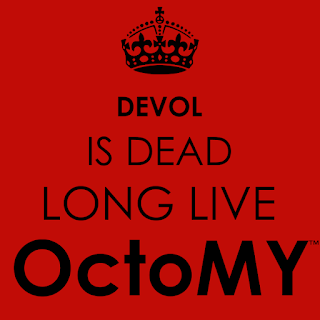 The blog formerly known as "Devol Robot Project" is dead. Long live "The OctoMY™ Blog"! The title of this post really says it all. I decided to change direction of this blog. From this day forth it will no longer be the ramblings of a curious learner without direction. It will au contraire be the ramblings of a curious learner WITH direction! All the old posts will remain, the design will remain, and for now the old URL will remain as well. In fact nothing will be changed but the title, tagline, logo and editorial direction that this blog takes. The new direction will be something like 40% OctoMY™ news 40% robotic tidbits and 20% actually useful content like tutorials and cheat sheets.